The Isthmus is a narrow piece of land that connects mainland Greece with the Peloponnese. 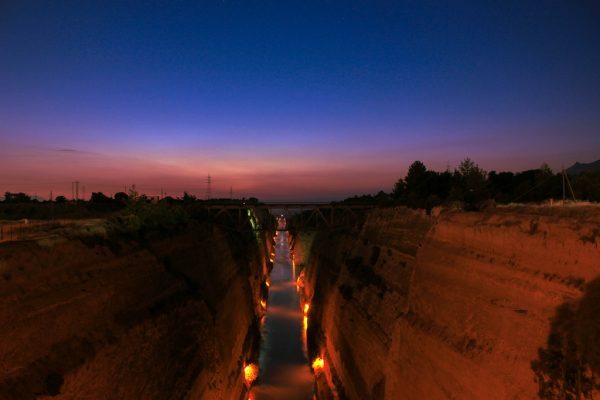 The Corinth Canal connects the Saronic with the Corinthian Gulf. The canal has a length of 6.346 m, a width of 24,6m at sea level, 3 m at the bottom of the sea, while the depth varies from 7,50 till 8 m. The total volume of soil that was extracted to construct reached 12 million cubic meters. 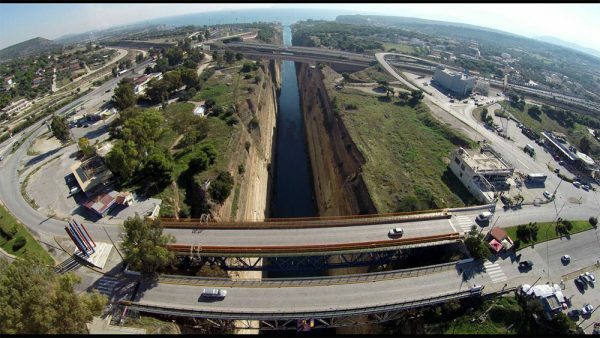 Today, Corinth Canal is the heart of international marine transportation and serves around 12,000 ships a year, of all nationalities. Today there are currently operating at the Canal two submersible bridges. One in Posidonia and one in Isthmia, which help communication between the mainland and Peloponnese, and every year the most celebrated canal of Greece is navigated by 15,000 ships, of 50 different nationalities, making it currently the unquestionable sea “umbilical cord” between Western and Eastern Mediterranean. 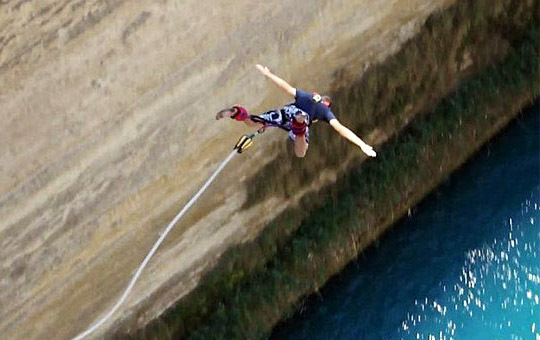 The platform is located at the bottom of the tourist bridge of Corinth at a height of 80 meters from the surface of the water and many say it is one of the best spots for Bungee jumping in the world. As you fall, you feel the resistance of the air on the face, you see the water coming in, you just feel like you were doing a madness. In the end, of course you laugh and you think “when will I go back”? 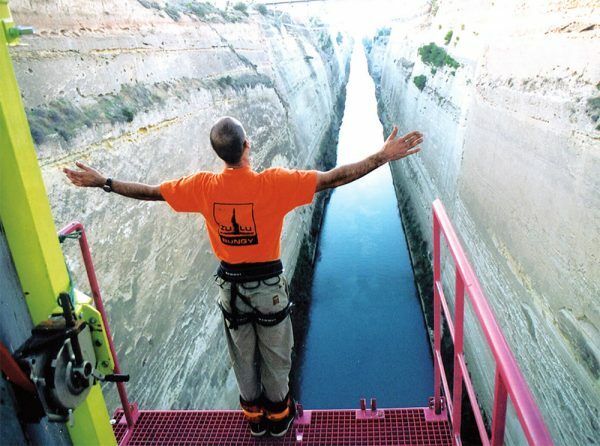 The jump is even more unique, here in the Isthmus of Corinth due to its mythical view. After weighing, you will have to strap your legs with special straps and wear a full harness. Then you will go to the Bungee platform, the jumpmasters will reload you, the bungee rope, the final check will be done and …. you left! If you wish, you can ask to touch the water in your jump!